Tonight we dine on turtle soup. Leonardo, Michelangelo, Donatello and Raphael battle the evil Foot Clan and Kraang in Nickelodeon's new action game, Teenage Mutant Ninja Turtles: Rooftop Run for iPhone and iPad. As the title implies, it's an endless runner featuring the heroes in a half shell, and the developers did a fine job capturing each turtle's personality, while a heavy emphasis on combat is a welcome change from other runners cluttering the App Store, but don't scream cowabunga just yet. Some issues get in the way. First, the good. TMNT is a side-scrolling romp through a detailed city filled with bad guys, from lowly foot soldiers to Baxter Stockman-like creatures and mechanized warriors, all of which the designers strategically placed in order to slow the turtle down. As you'll soon discover, there's a constantly depleting energy meter along the top of the screen, and once it runs out, a Kraang ship inhales the hero with a tractor beam. That said, you have two goals. The first is to collect green orbs to fill the aforementioned meter, thus preventing the ninja turtle's demise. 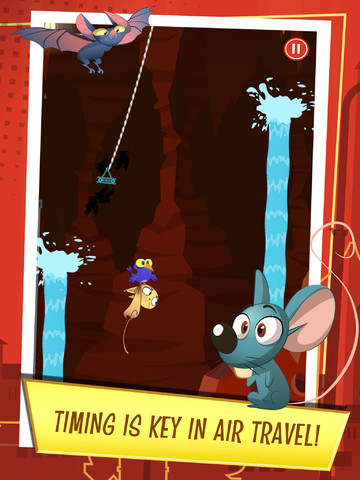 Filling it completely (no easy feat) launches Turtle Time, where you tap the screen when prompted to pummel baddies and earn gold coins, after which you continue running. It's a fun way of doing things, since gathering as many green orbs as possible creates a cool objective. Meanwhile, gold coins prove useful for purchasing power-ups, different weapons and outfits in the store. Thankfully, Turtle Time is one of two free ways to snag this precious currency. 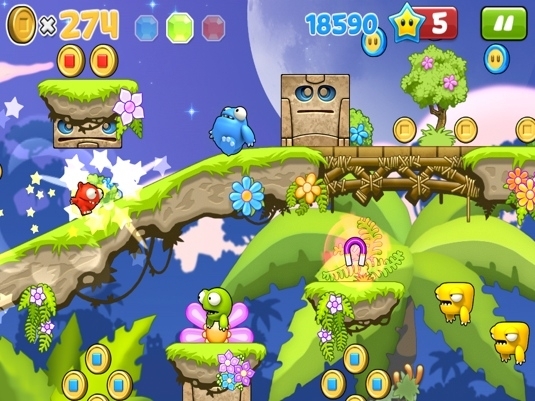 This is where fighting comes into play, where rapidly tapping the screen whenever enemies appear (and defeating these lowlifes) adds some coins to your total. Considering most running games treat combat as an afterthought, this is great to see. Now onto the problems, starting with buying characters. You begin the game with one turtle and must unlock the rest for 3,600 coins apiece. With an average run producing hundreds of coins instead of thousands, it may take a considerable amount of time before you'll access all four turtles. That's if you grind it out. The easier option is to spend money for coins. It's one thing to charge extra for characters like Dogpound, which Nickelodeon sells for 28,500 coins, but the turtles? Considering the game already costs $1.99 to download, it's a slimy thing to do. Then we have issues with the game itself. At one point, Donatello's foot became unexpectedly stuck on nothing in particular, leading to a cheap death. Tying both jumping and attacking to the same button also proves somewhat problematic, since you need to balance it with running along walls and jumping. For the most part, though, the non-stop action, drive to achieve Turtle Power and the various goodies in the shop are enough to keep us playing. On that note, and if you're willing to put up with its warts, Teenage Mutant Ninja Turtles: Rooftop Run will provide quite a few hours of foot stomping fun. Review code provided by Nickelodeon. 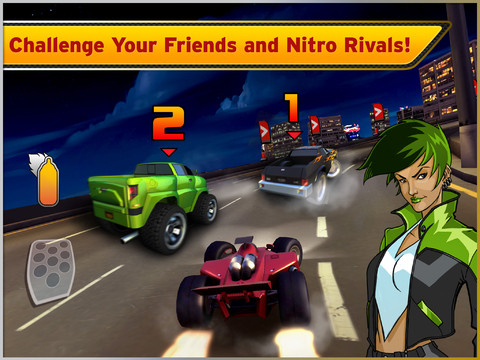 What's Hot:Heavy emphasis on combat, frantically racing to collect green orbs, a presentation that does TMNT justice. What's Not:Having to unlock three turtles, occasional glitch, using the same button for attacking and jumping is somewhat tricky.